Ready to purchase your first home? Here’s one of my most important rules: Take your emotion out of it. You have to take your emotion out of the home buying process. If you make it all emotional, you’ll make decisions that may not always be best. 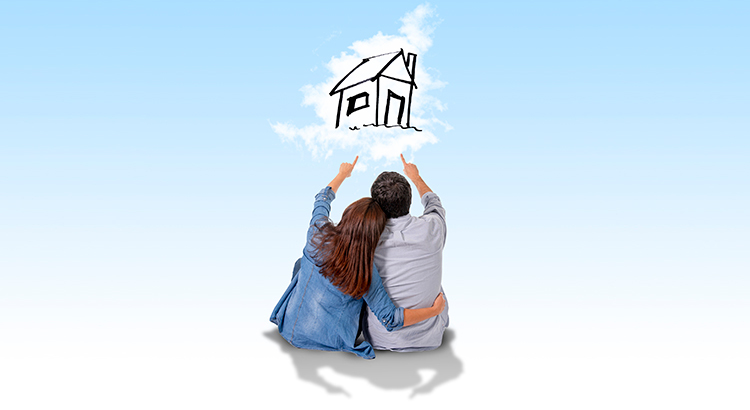 The thing to being successful in the home buying process is to realize that it is a financial investment. Home buying in a tough market such as DFW doesn’t equal getting exactly what you want. It can but do understand that it will come with a hefty price tag. Do you need to move by a certain date? Desire a certain school district? Have space requirements? What would the space be used for? Do you want a backyard? What would you want to do in your backyard? How big of a kitchen (or closet for my ladies) are you looking for? Why is that so? See how in that equation that a kitchen island or granite countertops weren’t mentioned? That’s because those are things that are nice to have but shouldn’t be must-haves. Why? You can easily add those things to your home as time progresses. Know your must-haves. Know how much you can afford. Know how long you plan to live in the home. The goal is to maximize your investment return for the home as you live there. It’s a financial/business decision first and emotional tie dead last. For my clients, I keep the list to those 5 and often remind you of it when you want to see an 1100 square foot home when you said the home has to be 1400 square foot or more. When you know what is absolutely needed in your home, stay on track of that list. That will help narrow your choices down and help keep the emotion out of it. The focus should be functionality and practicality. If you are decisive, you’ll save a lot of time and emotions. You’ll have a nice home that is affordable, provides a great return on the investment, and provides the sense of home that your family needs. To begin your home journey in North Texas visit NewAvenueRealty.com. 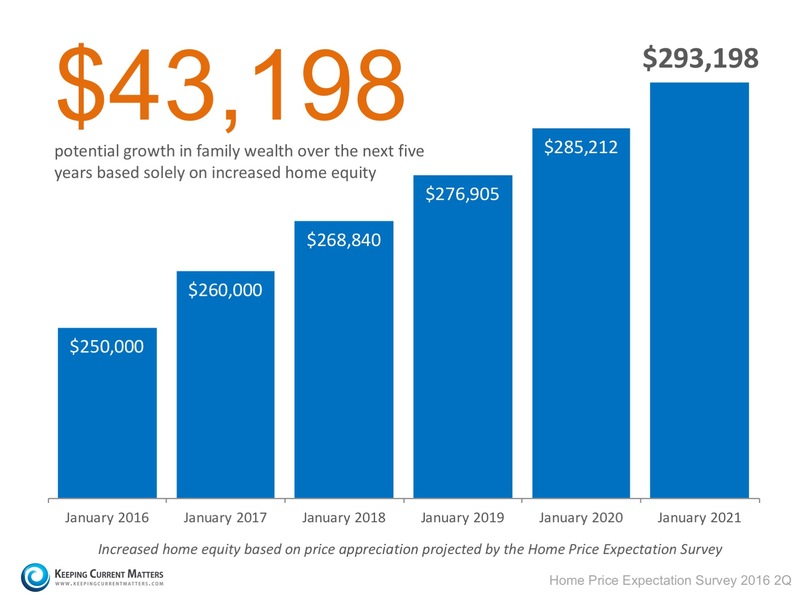 If you have noticed by Instagram or Facebook posts, then I am here to reassure you that the American Dream of homeownership is alive and well. The personal reasons to own a home differ for each buyer, but there are many basic similarities. 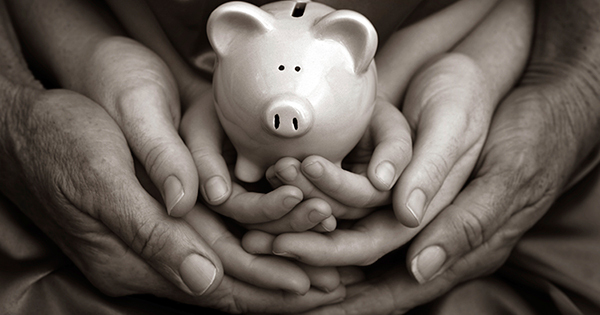 Homeownership makes sense for many Americans for an assortment of social and family reasons. It also makes sense financially. If you are considering a purchase this year, contact me so we can evaluate your ability to do so. Are We Behind the Foreclosure Scene? That’s the question in America. According to the video below, foreclosure rates are at its lowest that it’s been since the recession in 2009. What does this mean? It means that rates may not be as low as they are now. It means no low bids on homes that are priced right. In the DFW market, foreclosures are few and far in between (in Denton and Collin Counties today, there are 33 active foreclosures). One thing that most buyers ask me is, can you send me foreclosures? They are listed on the market and the reason you may think it is not is because there aren’t many. Plus, if there is a foreclosure it does not mean they are extremely cheap. The deals that you are looking for are gone. As much as I hate to say this because we all love a deal, right? You missed the boat on a deal for a home. That boat sailed in 2008-2011. A great deal would be when you and the seller can agree to a price and it appraises for that price or higher. For your sake as a buyer, higher means a lot more for you. 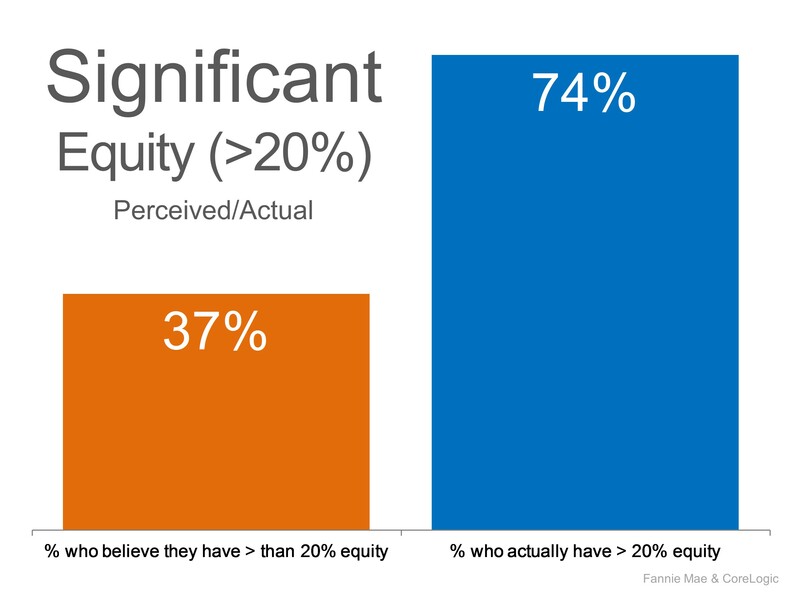 It means that you have some equity in the home on closing day (Equity = market/appraised value – loan value). Be competitive and ready to make a great deal. I counsel my buyers by letting them know that you should submit every offer as if there are multiple offers because you won’t always get a second chance. Your first offer should be your highest and best. Now if you are looking to have tens of thousands dollars off the list price, bring all cash to the table and that’s a different conversation. Cash rules, remember that if you don’t remember anything else I say. Is it all cash at the end of the day? Yes but that person won’t have loan contingencies, closing costs needed, and can close in a week or two. My advice to home shoppers will be to bring your A-game. We’ll need it to make it to the finish line. I ran across this topic today as I was browsing through articles and it hit me that I was supposed to deliver a blog post about this very topic on Valentine’s Day. So today’s blog is dedicated to those who are single in the city and think that homeownership is for married couples. Realtor.com’s article, “More Single Female Buyers on the Hunt” discusses that women today aren’t waiting for prince charming. The timeframe for meeting Mr. Right, getting married, and having kids is a further stretch of a timeline than in the earlier decades of women. Today’s women are buying their own homes in the time-being. Once Mr. Right does come along, you could sell your property and make profit to purchase the marital home. Did you know there many types of homes that you could purchase? If you’re one of the ones who are used to someone else caring for the property, opt for a townhome or condo. The community association fees typically pay for the common areas and the upkeep of the community. In some areas, cable, water, and sewer may be included. There are tons of options besides a home and a yard. Visit newavenuerealty.com to find the hottest homes whether they are condos, townhomes, or houses in DFW. On a daily basis, I get emails, calls, and maybe texts from people wanting to go see homes or inquire about them. As an agent I give the basic information about a home but I know that person may have more questions about a specific home. When you are calling and inquiring about something, you are highly interested in it. 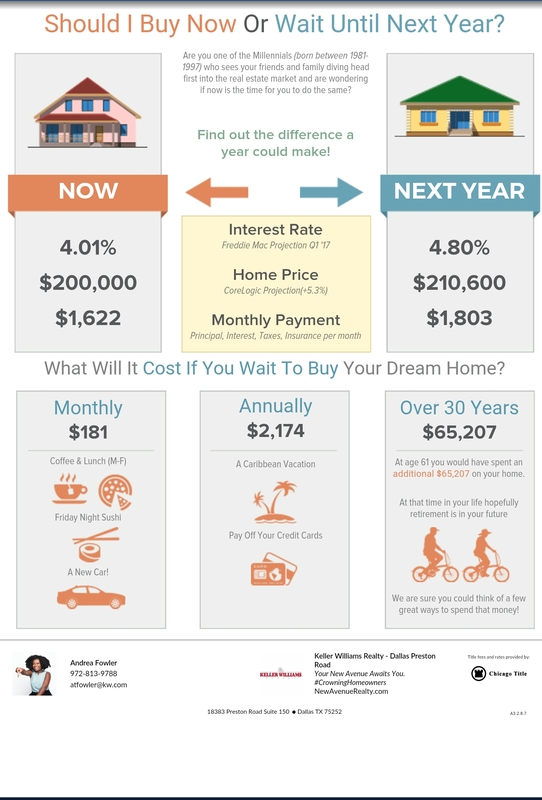 One question that leaves a lot of people baffled is the “Have you talked to a mortgage professional to see how much you could afford?” At times, the answer is no and when they find the right house they will speak to one. That isn’t how it works especially in the Dallas – Fort Worth market. Homes sell in a day or two and the the buyer that was accepted usually has a pre-approval. A pre-approval is a letter or serious content from a buyer and their lender. It shows the seller that you are a serious buyer and can afford to make an offer on their home at the agreed upon price. With a pre-approval, the lender verifies the your information and documentation to determine exactly how much it would be willing to lend to that borrower. 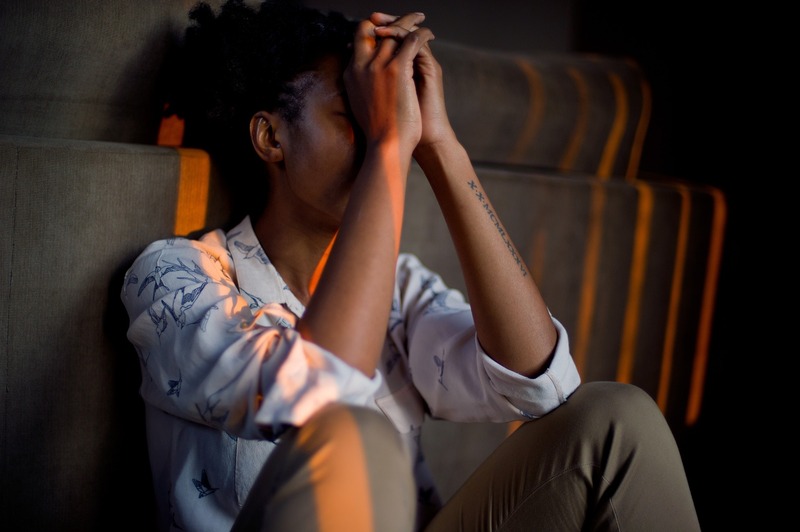 The documentation includes your credit report, last two federal tax returns, paycheck stubs, two months of bank statements on all accounts (checking/savings, 401K, IRA, other stocks and bonds), last two years of W-2s. This isn’t a loan commitment but it does speed you up with the underwriting and mortgage loan process. This is in place to have your i’s dotted and your t’s crossed. You don’t want to look at homes that you love only to find out you cannot afford it. Difference between pre-qualification and pre-approval. Gives you a chance to form a timeline and fix errors or issues on credit. Getting pre-approved before you shop for a loan also allows buyers time to fix unexpected errors on their credit reports. Don’t wait until your lease is up or when the landlord decides to sell the home before you start looking into getting pre-approved. Give yourself at least a few month’s advantage. The lender will be able to tell you what you need to do to qualify and what to work on. 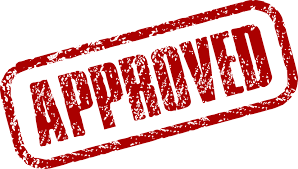 Overall a pre-approval helps you stay in your lane on your affordability. Lenders will give you a pre-approval based on your income and debts. However, other things that are not reported on your credit report such as child care, tithing, money borrowed from your uncle, cable, car/life insurance, etc, are not being calculated into your pre-approval. This is where you do a sit down and work out how much you can afford to pay each month. If you know realistically, you can only afford $1200/month in mortgage, ask your lender to give you a pre-approval based on that amount (if your pre-approval is estimating a higher mortgage payment). Pre-approvals show that you are a serious buyer looking to purchase a home in the near future. It’s okay to look at homes but make sure you have your finances in order to be able to be considered to purchase the property that you love. In this Dallas market, it may only be available today. That may be your one time only. For more information about the Dallas – Fort Worth real estate market, contact me at atfowler@newavenuerealty.com or 972.813.9788.